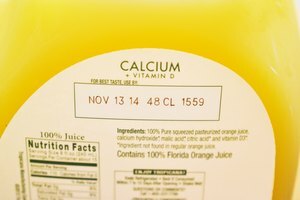 Orange juice manufacturers determine the date when your juice will no longer be at its peak freshness, which is what is printed on your juice package. After this date, your juice has the potential to become contaminated with harmful microorganisms, all of which can make you sick. To protect yourself from the effects of food-borne illness, it's best to toss that expired juice and purchase a fresh bottle. Orange juice, like the fruit it is made from, doesn't last forever. 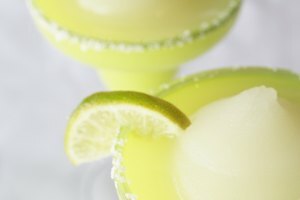 Once it's opened your tasty juice can go bad within one week if refrigerated at less than 40 degrees Fahrenheit, according to the Still Tasty website. If you haven't opened your properly refrigerated juice, it can last up to one week after its expiration date has passed. 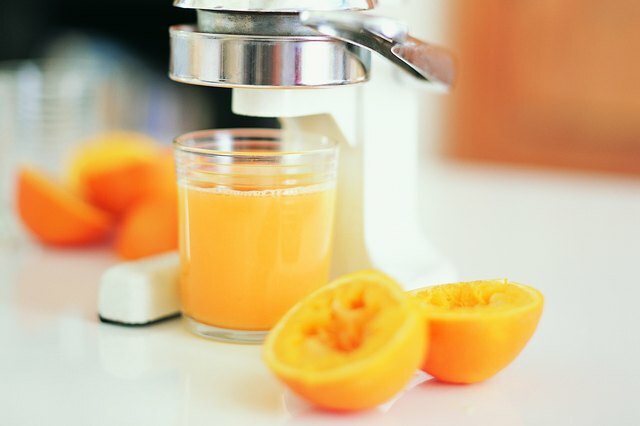 Freshly-squeezed juice lasts for two to three days if refrigerated. Canned orange juice may last up to one year if kept in a cool, dry cabinet and the can hasn't been punctured or damaged in some way. When frozen, your juice can last for several months if kept at 0 degrees F or below. Before using any orange juice, especially one past its expiration date, give it a whiff. If the juice smells sour, similar to vinegar or alcohol, it's gone bad. Spoiled juice may appear darker than usual in color, or the container may have expanded due to the gasses given off by the microorganisms in the spoiled juice. Any visible mold in the juice or anywhere inside the container definitely means the juice has expired and may be dangerous to drink. Not only will spoiled juice taste unpleasantly "fizzy" and sour if you attempt to drink it, it will also carry harmful bacteria or mold that will sicken anyone who ingests it, warns the U.S. Food and Drug Administration. Over time, yeast will begin to ferment your orange juice, converting the sugars in it to alcohol and carbon dioxide gas, which is why containers of spoiled orange juice will expand and appear bloated. Once you open your juice, oxygen will encourage the growth of these harmful yeasts, molds and even bacteria. Pasteurized orange juice typically has the longest shelf life of up to one week after opening because the process uses heat to kill all bacteria in the juice after it is made. Unpasteurized juice may contain harmful bacteria like E. coli and Salmonella, which will multiply even if the juice is properly refrigerated, leading to food borne illness, warns Foodsafety.gov. Can Something so Small Make Me Sick? The tiny microorganisms that flourish and multiply in spoiled orange juice can make you sick if you ingest them. After drinking expired orange juice that is spoiled, you may experience nausea, vomiting, diarrhea and stomach upset, according to the Ohio State University NetWellness website. 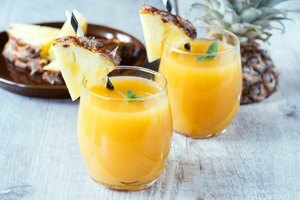 Some types of microorganisms in the juice can also cause more serious symptoms, such as difficulty breathing, a high fever or dizziness, which require immediate medical attention. Those with a compromised immune system or who are pregnant should avoid any juice that is expired or unpasteurized, even if it seems OK, because it might contain harmful microorganisms in small amounts. EatByDate: How Long Does Fruit Juice Last? 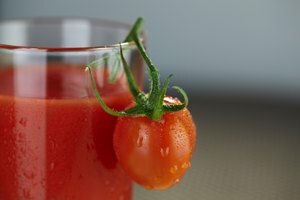 How Long Can You Keep Opened Tomato Juice Before It Spoils?